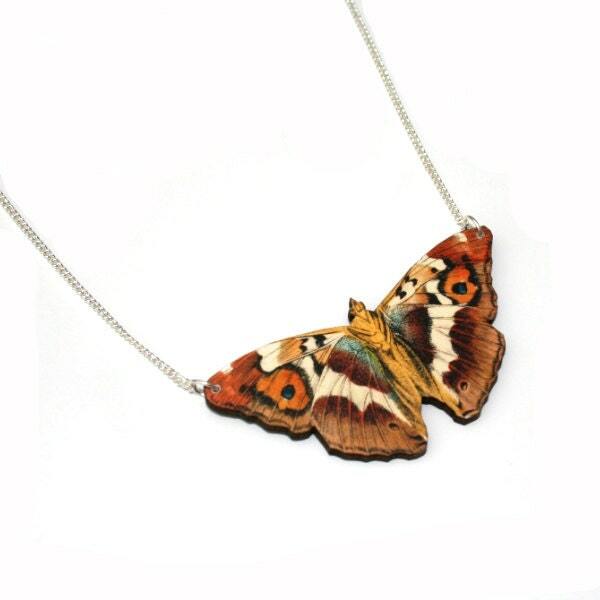 Wooden Moth Illustration Pendant Necklace. This unusual moth necklace has been made by adhering a moth image to 1/8” (3-4mm) thick wood board and then laser cutting to shape. The reverse of the moth pendant has been painted black. The pendant has then been added to an 18” (45cm) silver plated split chain. Wonderful necklace which I purchased as a birthday gift for my g/f. Arrived quickly and well packaged - looks fantastic, has been worn several times now and always received compliments. Perfect!